Join us for our favorite time of the year! 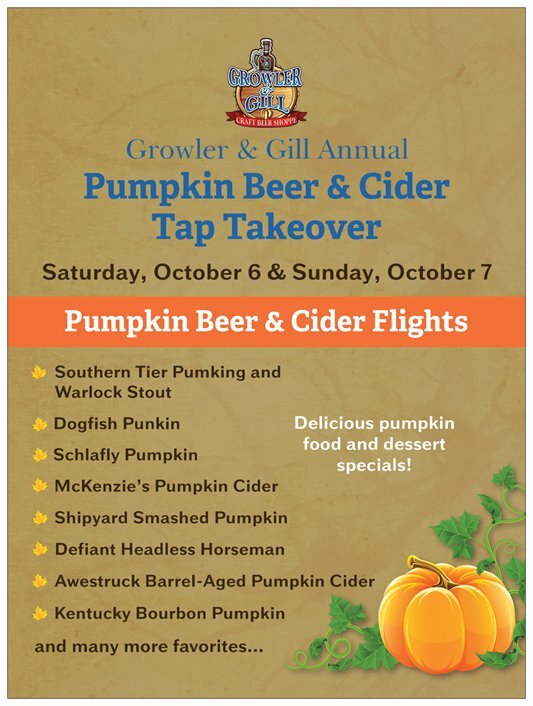 Pumpkin beer/cider tap takeover 10/6 & 10/7. 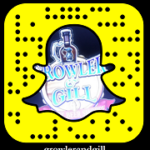 14+ Pumpkin Beers & Ciders – Southern Tier Pumking, Warlock, Rum Barrel Pumking, Schlafly, Shipyard Smashed Pumpkin, Keegan IHOP Pumpkin, Cigar City Good Gourd, Doc’s Pumpkin Cider, McKenzie’s Pumpkin Cider, Downeast Pumkin Cider, New Belgium Atomic Pumpkin, Awestruck Barrel Aged Pumpkin Cider and more! Food specials include Pumpkin Mac & Cheese, Kielbasa, Cinnamon Sugar Bavarian Pretzels, Pumpkin Swirl Brownie. No admission fee/no tickets needed!